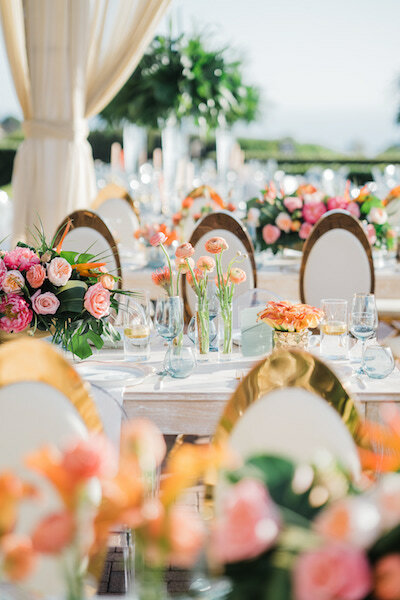 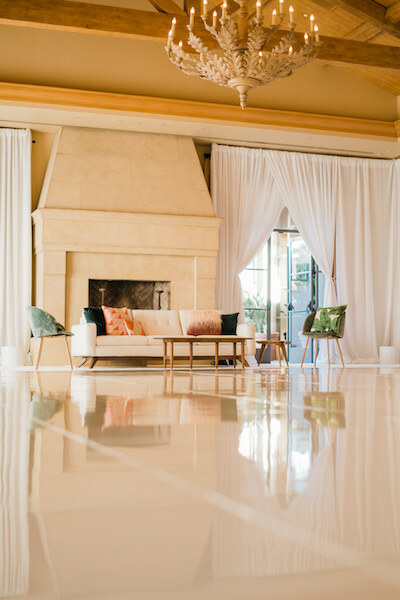 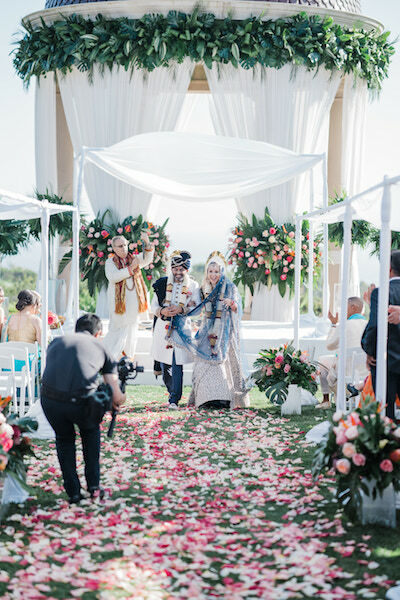 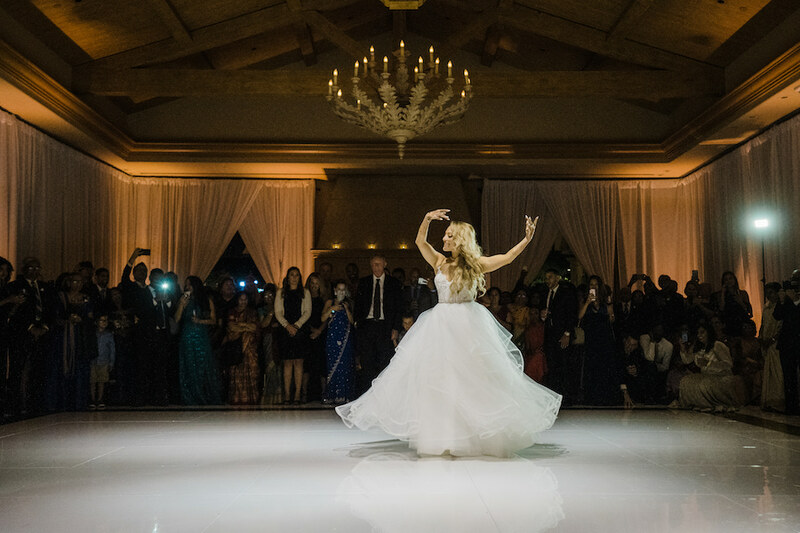 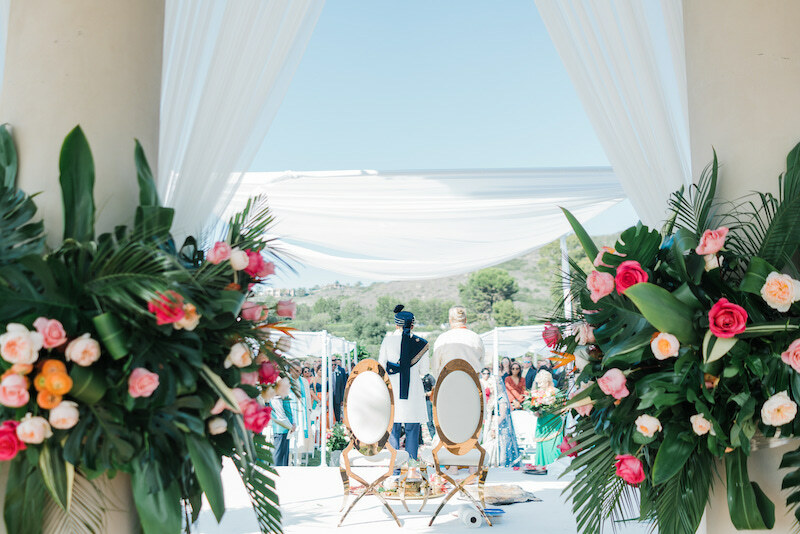 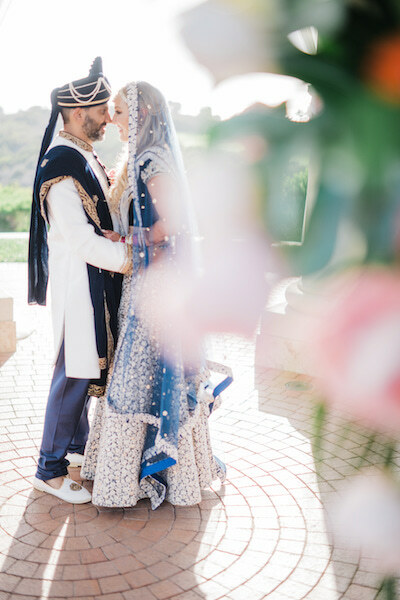 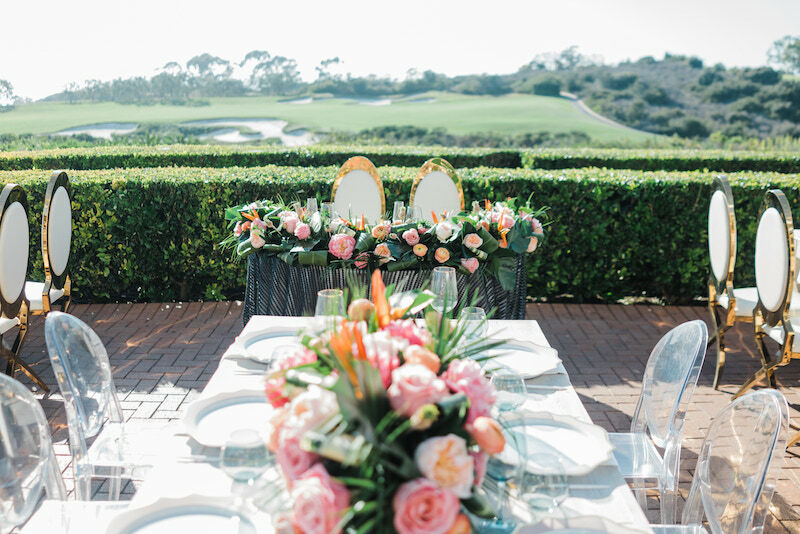 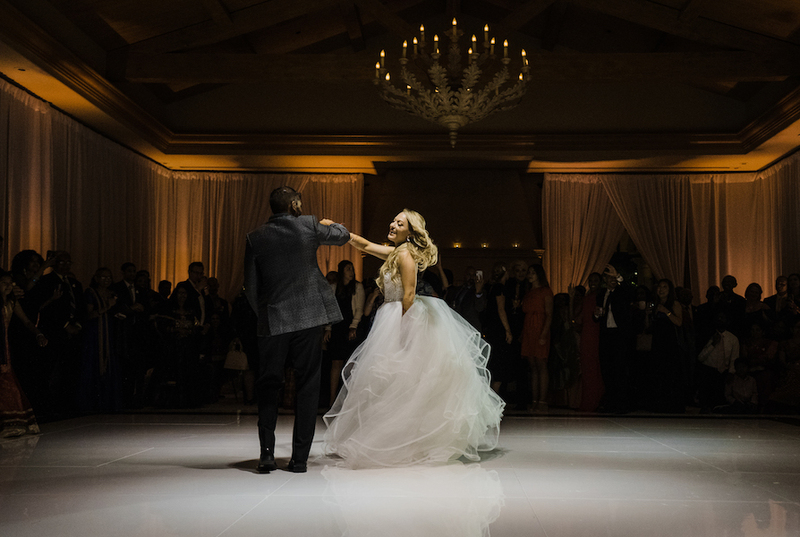 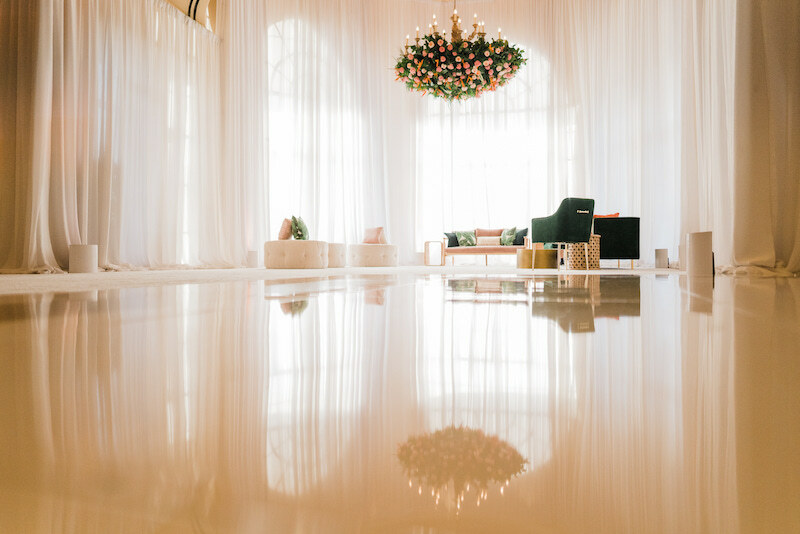 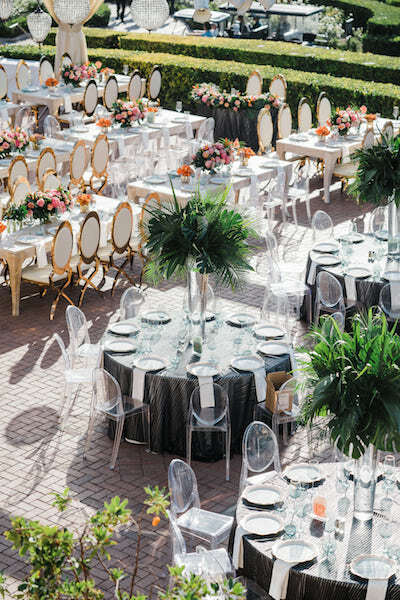 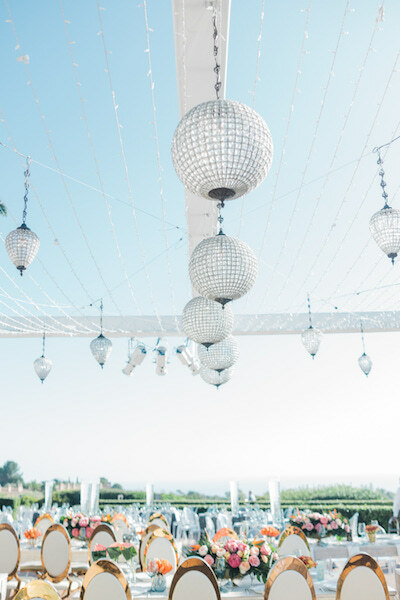 Carolyn and Kunjan’s Pelican Hill wedding was featured on Carats and Cake. 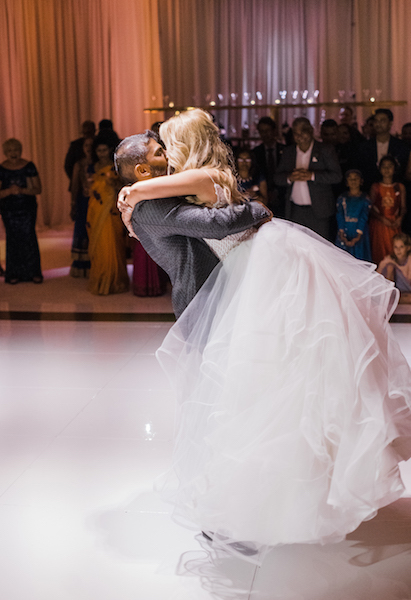 Click here to see the post: Carolyn and Kunjan on Carats and Cake. 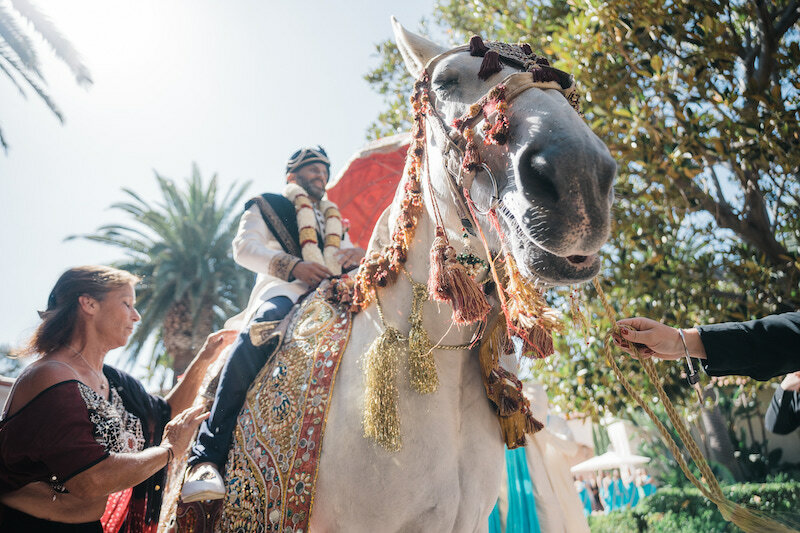 This wedding was one of our favorites from the past year. 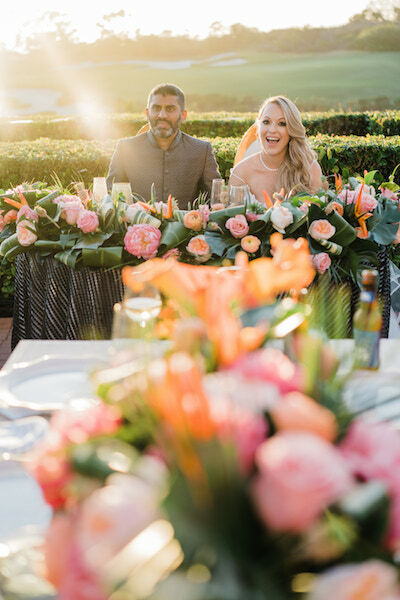 Carolyn gave us the challenge to tastefully combine Kate Space with a tropical feel and we were up to making her dream come true! 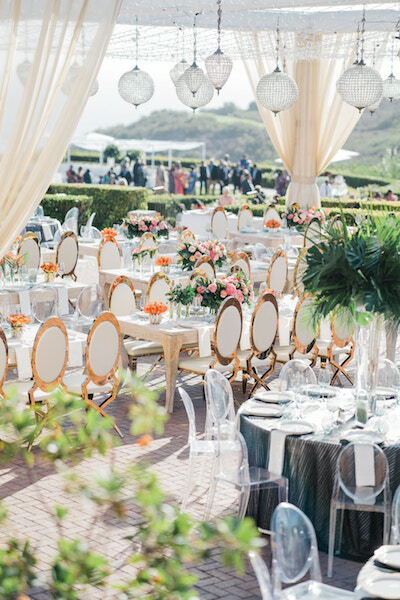 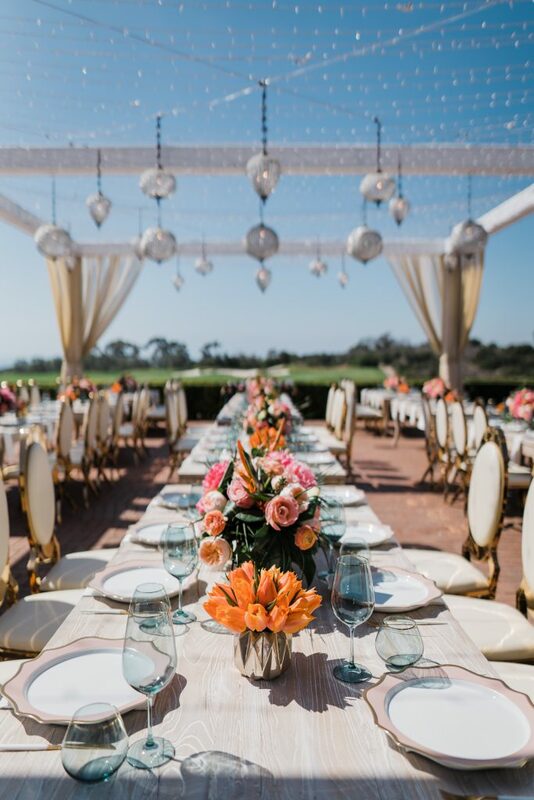 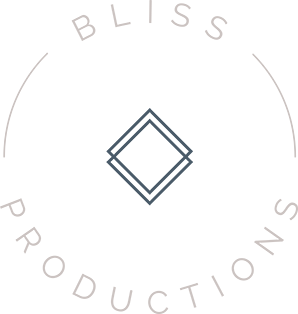 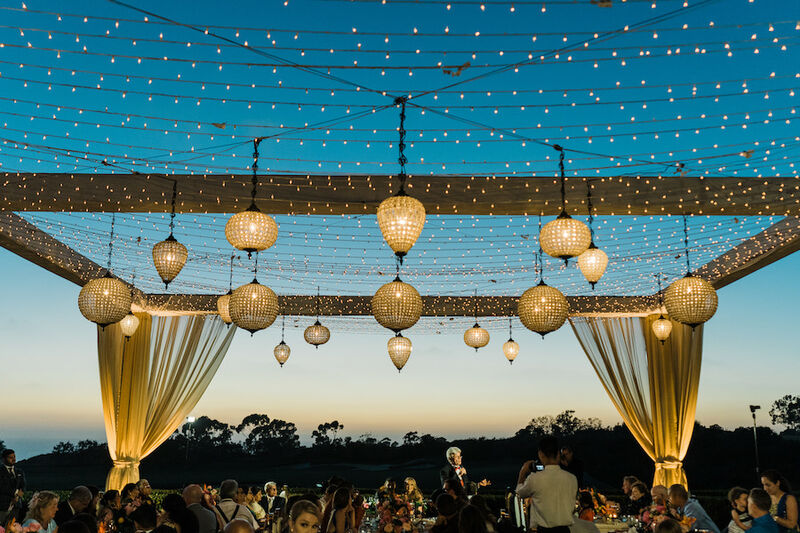 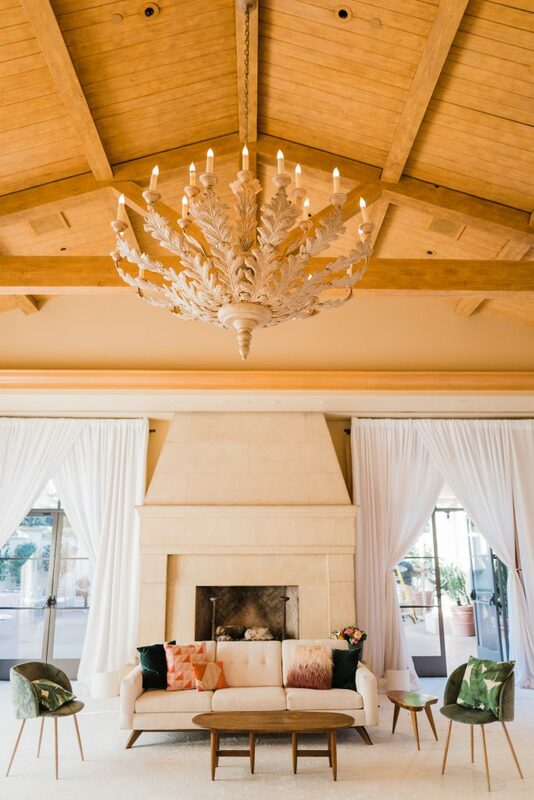 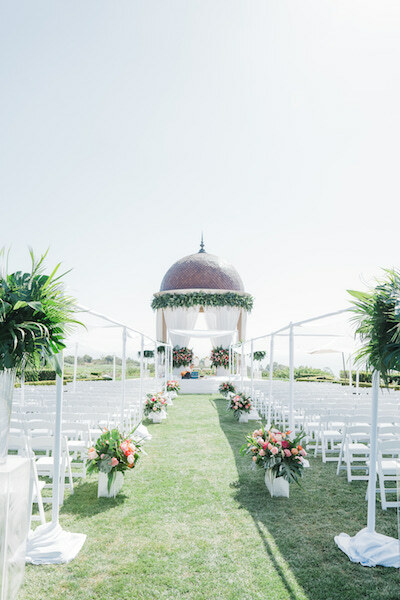 Finding the perfect ocean view venue at The Resort at Pelican Hill, we started with a gorgeous foundation on which to build. 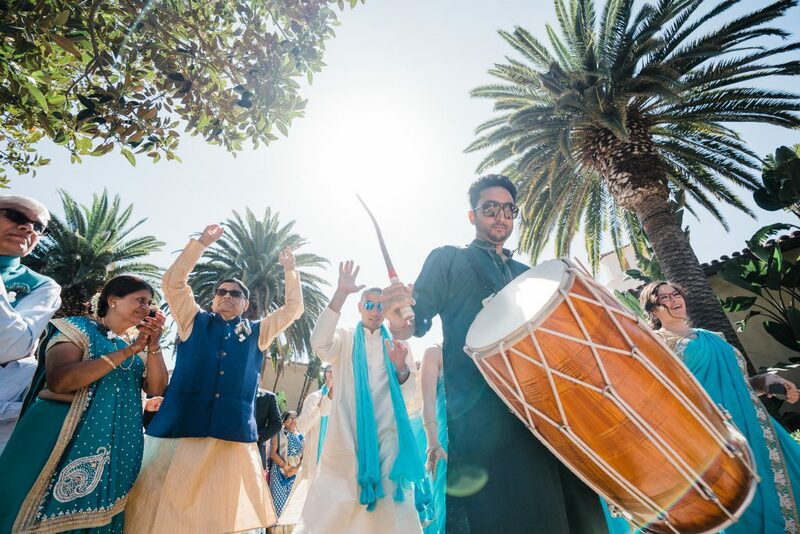 Being an Indian Fusion wedding, guests danced their way into the ceremony with a traditional Baraat! 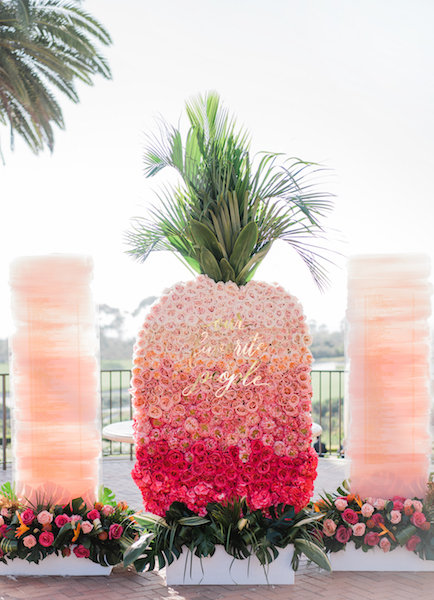 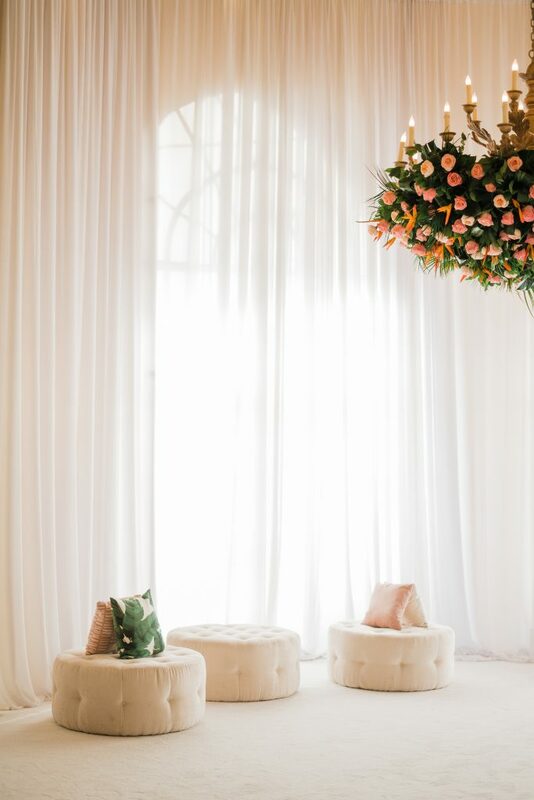 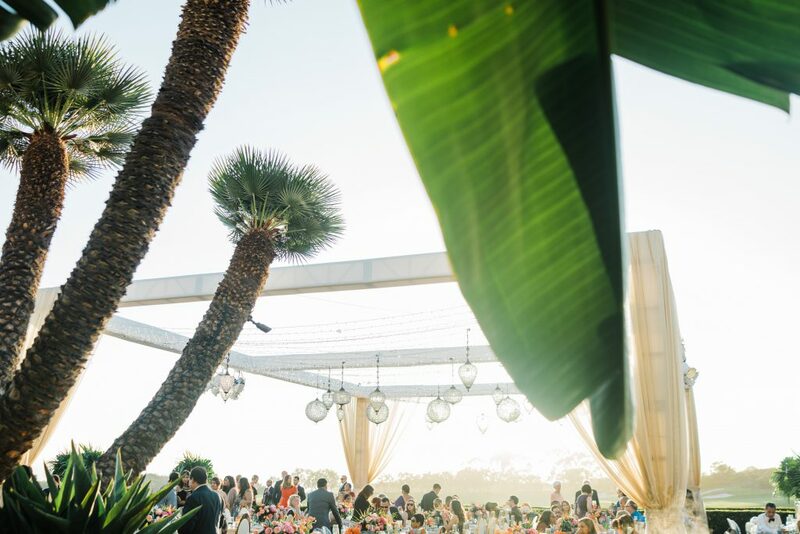 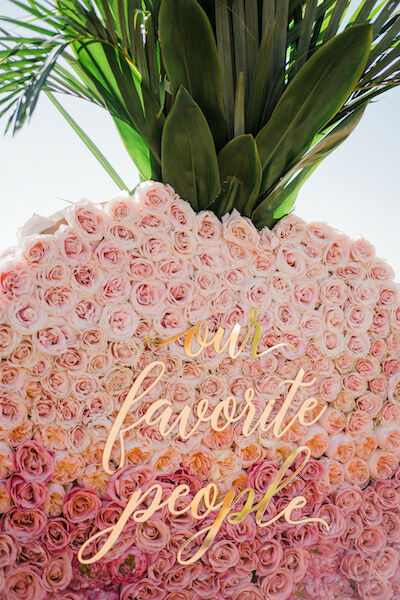 The ceremony was draped in clean white fabrics to set-off the tropical A large ombre pink pineapple acted as a fun back drop for guests to take photos and find their seat. 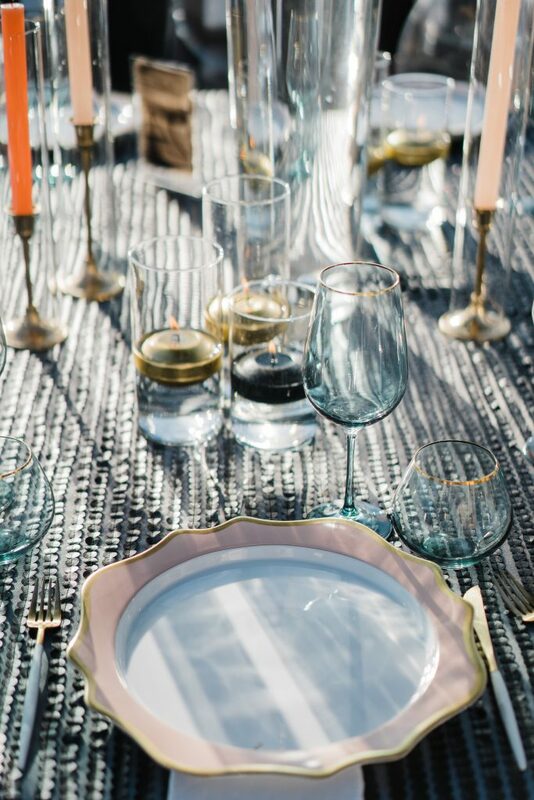 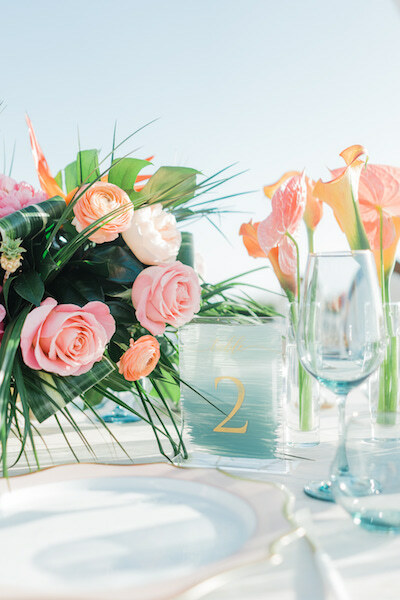 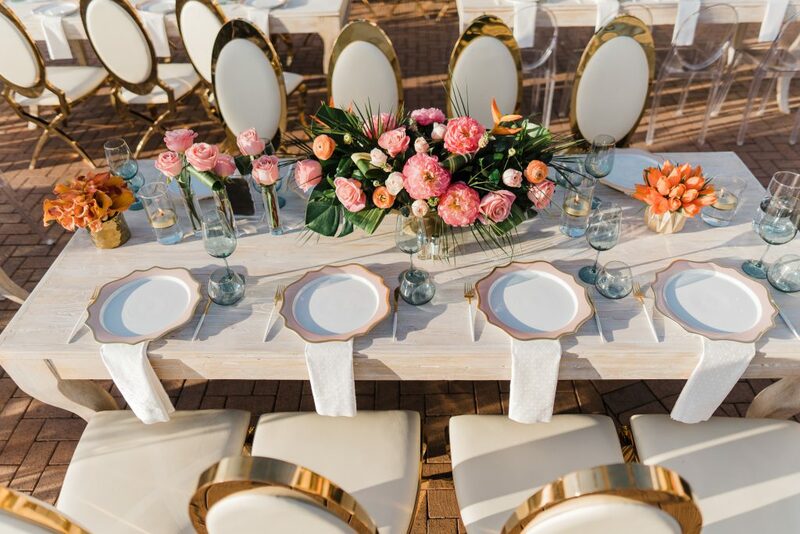 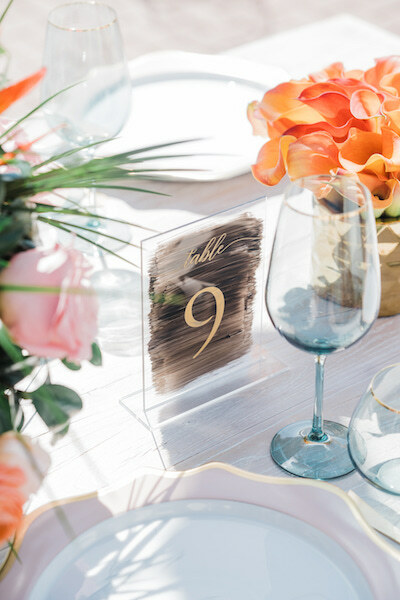 Colorful blooms adorned the tables along with pink baseplates and aqua glasses to set a fun tone for dinner. 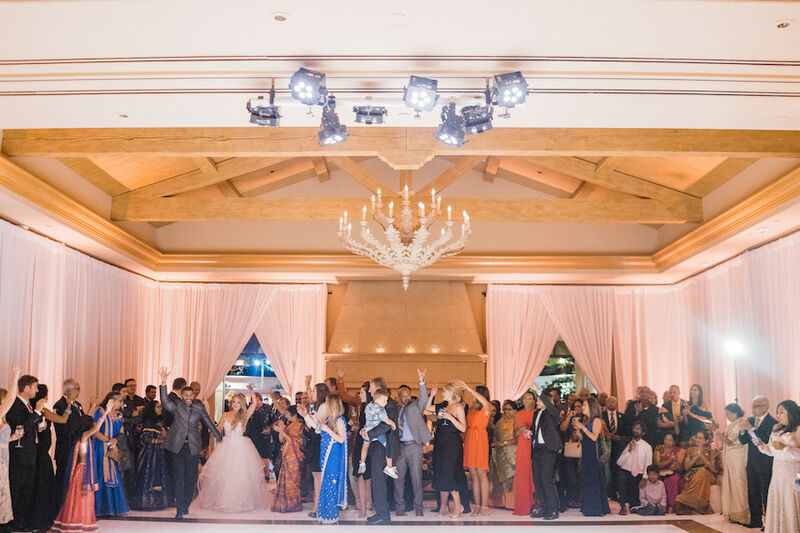 Guests were then ushered into the ballroom for dancing where they were met with unique lounge vignettes, dazzling white dance floor and the best mini desserts. 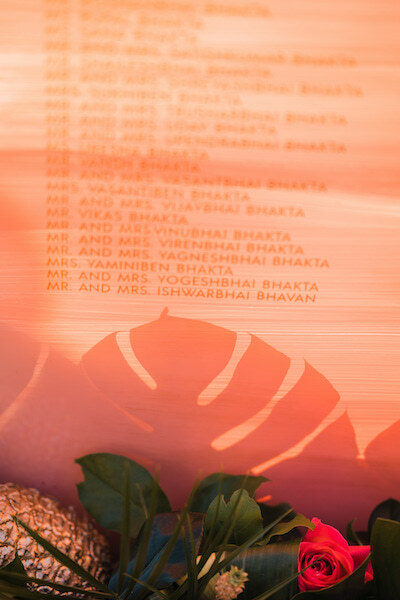 Thank you Carolyn and Kunjan for trusting in us for your wedding. 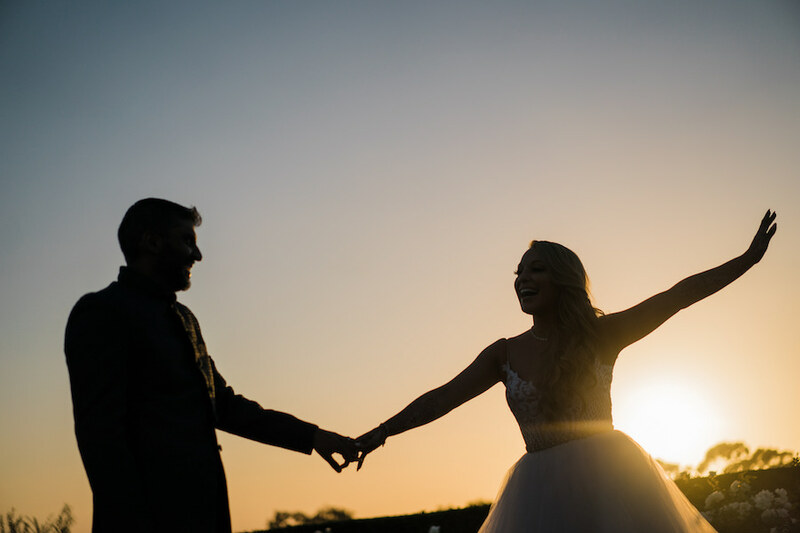 We had the best time, from start to finish!